Watch the mid-engine Chevy Corvette C8 lap the Nurburgring | Car News, Reviews, & Pricing for New & Used Cars. We just recently saw photos of the mid-engine 2020 Chevy Corvette in much more revealing camouflage, and now we get to see it in action at The Green Hell. 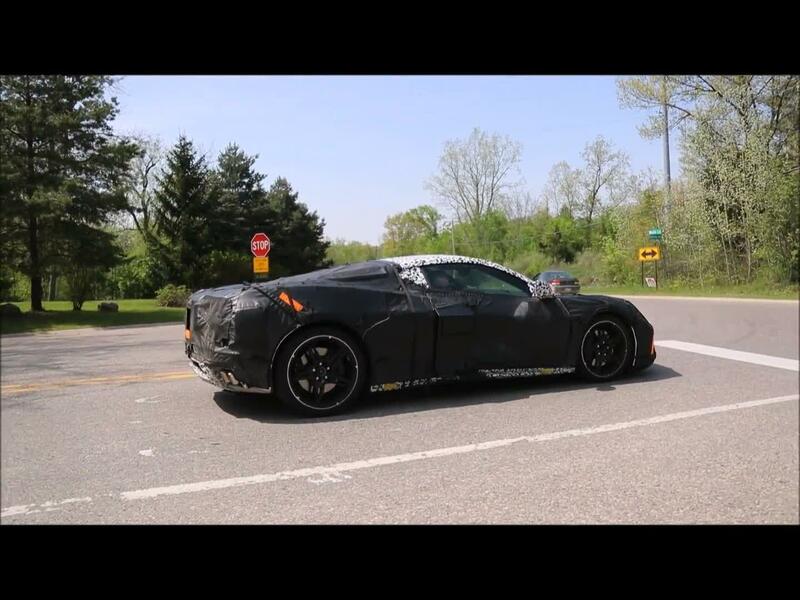 YouTube channel EMS Nordschleife recorded video footage of the Chevy sports car testing at the Nürburgring along with a bunch of other prototypes from other companies during one of the track’s manufacturer test days. You can catch the Corvette at the following time stamps: 0:53, 1:19, 3:30, 5:29, 8:40, 10:51. The car is wearing the same camouflage we saw earlier, so there’s not much new to report there. There are a couple of clips that give us good sound of the car accelerating away and shifting. The shifts are very fast and smooth, indicating that the test car must have some sort of automatic transmission. Rumor has it that it’s a dual-clutch transmission, but we wouldn’t rule out a conventional torque converter-equipped automatic, possibly a version of the existing eight-speed auto or the new 10-speed used in the Camaro. It’s also definitely a V8, which we never doubted, though we can’t tell for sure if it uses any kind of forced induction. At 3:42, we spotted a Mini Cooper S with a big rear wing reminiscent of the one on the John Cooper Works GP concept from last year’s Frankfurt Motor Show. So it seems Mini is working on a production version of that hatch. A Mercedes A-Class with a big spoiler, dual exhausts and a blatty note zips by, too, at 7:43 and 10:38. It’s likely a new A45 AMG. If that wasn’t enough of German-engineered hot hatches, the high-performance version of the T-Roc subcompact crossover shows up four times at 2:57, 5:19, 9:26, 11:22. Asian brands also had interesting vehicles out. The Supra is spotted lapping at 2:01, 7:19 and 10:10. The latter two clips show it following a 370Z. The new Kia Soul shows up at 2:01 and 8:55, and it reveals some stylish LED taillights. The Genesis G80 was on course, as well, though it was moving at a fairly sedate pace compared with the rest of the vehicles. These are just some highlights, though, as there are many other cars to see in the above video.